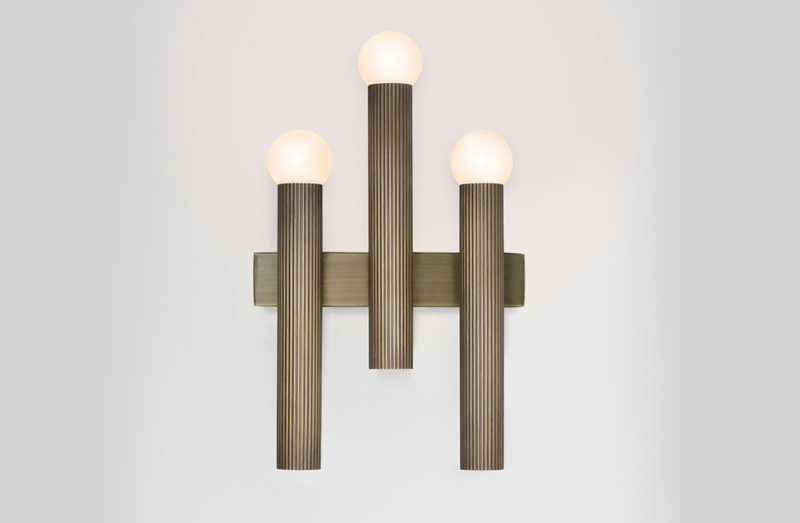 Sconce with structure in antique bronze or polished brass finish, opal glass shades. Requires (3) x 25W G9 halogen bulbs. 8" total width x 12.25" total height. Antique bronze or polished brass metal finish.